Wow, you can almost hear the applause, can’t you; however, the Lord would put it this way — They are from the world; therefore they speak from the world, and the world listens to them (1 John 4:5). As I recently pointed out in The Gloves Must Come Off what’s happened is apostatizing Apostles of Unbelief within the neo-liberal cult of the Emerging Church aka Emergent Church, for example EC rock star pastor Rob Bell, have perverted the faith with their ne0-Gnostic delusions received from practicing Contemplative Spirituality/Mysticism. This then causes them, and their counterparts in the Purpose Driven/Seeker Driven arm of this insipid man-centered Church Growth Movement, to turn what Jesus—Whom they’ve remade into Ghandi with a beard—taught about love completely backward. I have no idea who Carmichael is, but I can tell you that no one with any credibilty is arguing for “us to remain as we are.” That’s a common straw man in order to broadbrush as legalists those of us who adhere to what renowned evangelical apologist Dr. Walter Martin (1928-1989) would so often refer to as “the historic, orthodox, Christian faith”; in other words we hold firm to the trustworthy word as taught (Titus 1:9) and contend for the faith that was once for all delivered to the saints (Jude 3). So 1) this is why we know that this new postmodern form of liberalism Clayton et al are cobbling together under their “big tent” is not in line with the Christian faith, and 2) since the Church already had the faith delivered in the first century, we know we don’t need this foolish hybrid form of postmodern Progressive Christianity that Living Spiritual Teacher and EC guru Brian McLaren began laying out in his A New Kind of Christianity. I think that it is so important to know this. In a time like this of tolerance, listen, false teaching will always cry intolerance. It will always say you are being divisive, you are being unloving, you are being ungracious, because it can only survive when it doesn’t get scrutinized. So it cries against any intolerance. It cries against any examination, any scrutiny—just let’s embrace each other; let’s love each other; let’s put all that behind us. The day I responded to Ian, the internet was filled with hostile attacks on me and on the Raleigh conference that opens in ten days. There are certainly those who think that emphasizing Christian unity as Brian McLaren and I and the other speakers are doing betrays Christ. They say that we must emphasize the differences in order to judge the many, many people who hold false theologies. 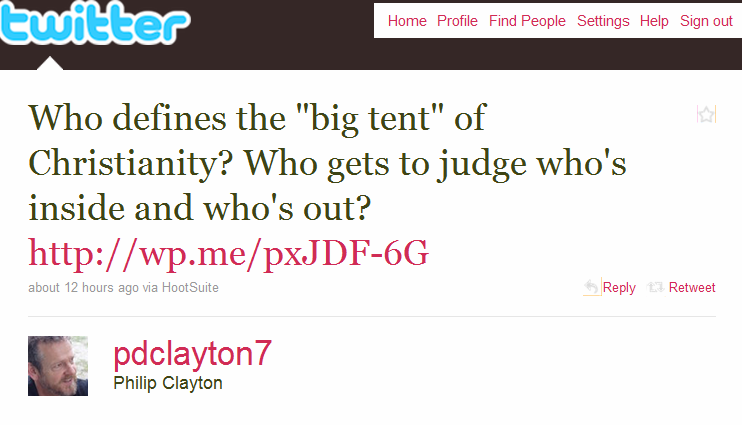 Since the only things even remotely resembling “hostile attacks,” indeed the only things I’ve seen period, concerning Philip Clayton and the EC big tent heresy-fest have come from this online apologetics and discernment ministry, his opining “the internet was filled with hostile attacks” would appeaar to be a bit a grandstanding on Clayton’s part. That aside, he’s now introduced a pet progressive/liberal red herring that you need to be ready for when you talk with these types. The issue isn’t about “emphasizing Christian unity”; it’s about: Is the Christianity being taught in line with the historic, orthodox, Christian faith? In this case it clearly isn’t as I’ve shown you many times previously; for example, the post I mentioned above Philip Clayton And A “Jesus” Who’s Gandhi With A Beard. This is, at the very least, one of the so-called “hostile attacks”; and yet, Clayton doesn’t address any of the actual substance of it. Instead, following the format MacArthur just laid out, Clayton tried to change the subject, from what he teaches, to the idea of Christian unity. He first speaks of those, whoever “they” are, which supposedly are talking about the need to “emphasize the differences” they have, and then he plays the piety card: “It’s not for me, for anyone, to define the boundaries of the tent.” As pious as that sounds, it isn’t true. 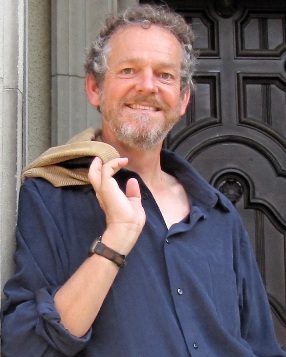 Clayton is ostensibly a professor of Christian theology, while EC guru Brian McLaren even teaches evangelical pastors. So, just as any other teachers, they must teach and preach the word; be ready in season and out of season; reprove, rebuke, and exhort, with complete patience and teaching (2 Timothy 4:2). This these centered on the self men like Clayton and McLaren refuse to do; instead they continue to contribute to, and consort with like-minded apostates in The New Downgrade With Its Apostles Of Unbelief. Even though Clayton and McLaren appear to me to be nice people, and sincere in their beliefs, they still happen to be sincerely deceived because apparently they do not know Jesus; for if they did then they would be able to understand that Jesus did “define the boundaries of the tent.” First, allowing Clayton’s metaphor of a tent, Christ told us about the path leading to it — “Enter by the narrow gate. For the gate is wide and the way is easy that leads to destruction, and those who enter by it are many” (Matthew 7:13). Next, in stark contradiction to dreamers like Clayton and McLaren, Jesus let’s us know that the tent really isn’t big after all — “For the gate is narrow and the way is hard that leads to life, and those who find it are few” (Matthew 7:14). This is why these quasi-universalists eshew Sola Scriptura in favor of their neo-Gnostic mythology received through their romanticized Roman Catholic mysticism, the Contemplative Spirituality/Mysticism I mentioned earlier. So now they follow a glorified social reformer they call “Jesus,” which is what Christian apologist Chris Rosebrough—host of the fine Fighting for the Faith program on Pirate Christian Radio, meant by calling this phantom Ghandi with a beard. The actual Jesus also told those few that do find it how to enter the tent; so you see, they’re not already within it. The Lord says — “I am the way, and the truth, and the life. No one comes to the Father except through me”; and earlier He’d already informed us — “I told you that you would die in your sins, for unless you believe that I am he you will die in your sins” (John 8:24). I’ve covered this before, e.g. Mormon Church: Deity Of Christ, so here I’ll’ simply tell you that the word “he” is not in the original Greek text. Jesus has taken the divine Name spoken of in Exodus 3:14 and applied it to Himself; in other words, Jesus is unambiguously claiming here that He is the Lord God Almighty.